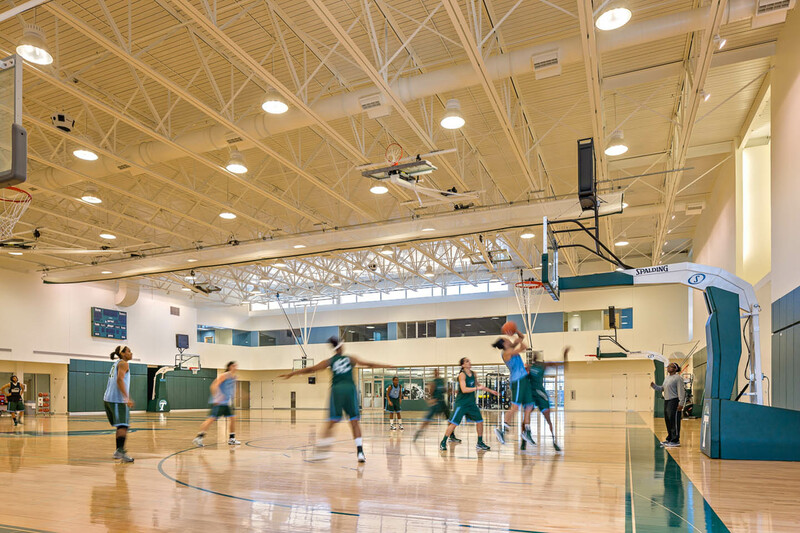 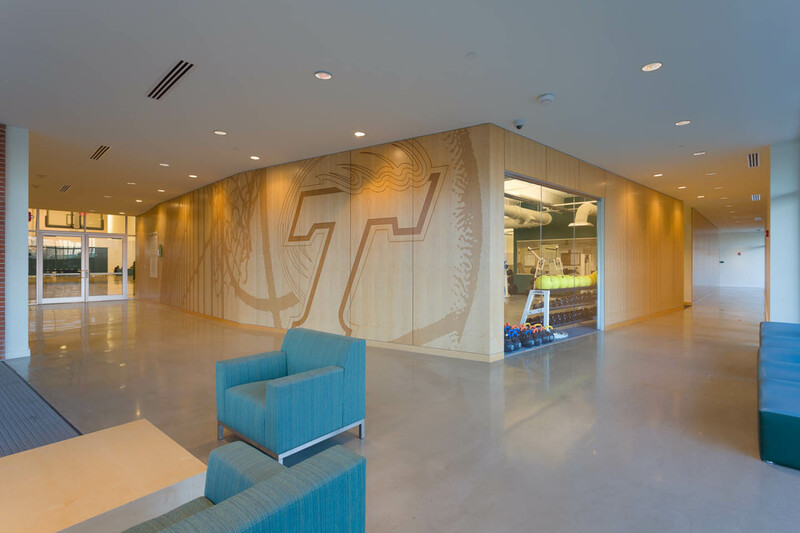 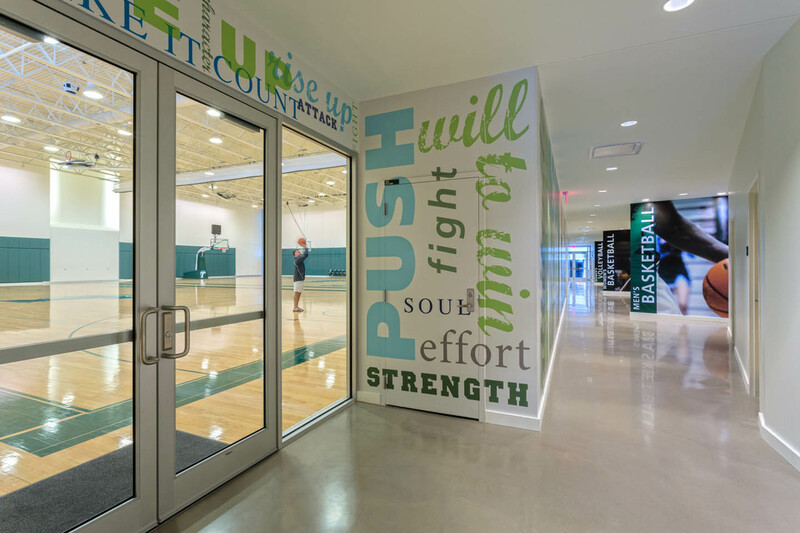 Designed with Lead Architect Gould Evans Affiliates, this new practice facility provides a permanent home for the university’s Basketball and Volleyball programs with a two-court gymnasium, training center, locker rooms, conference rooms and coaches’ offices. 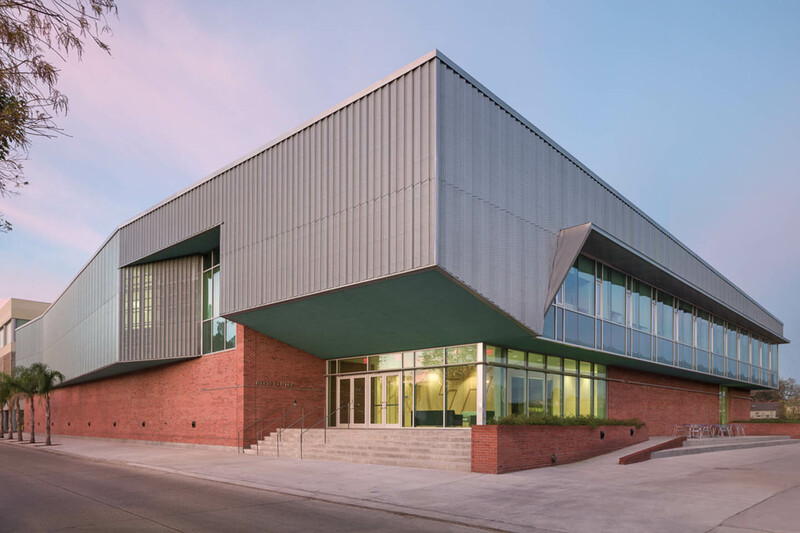 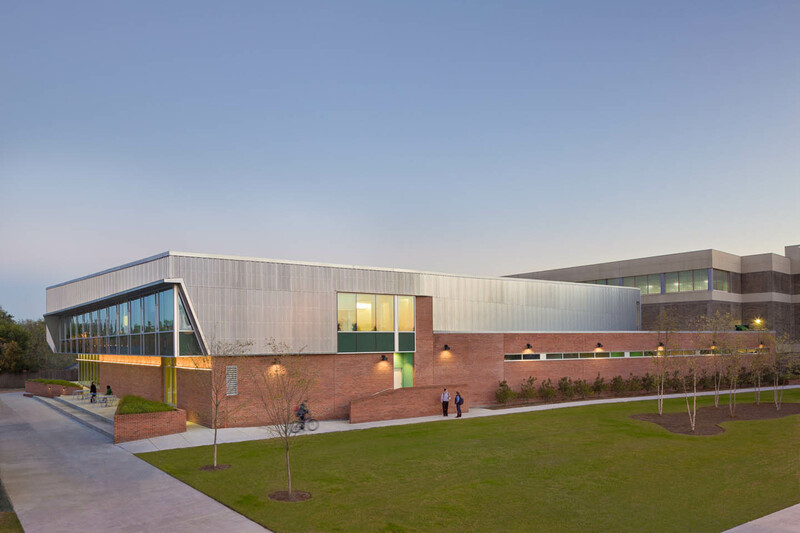 The building occupies the street edge and places a dramatic main entry aligning with two adjacent facilities’ entrances, strengthening the street as a front for the entire athletic campus. 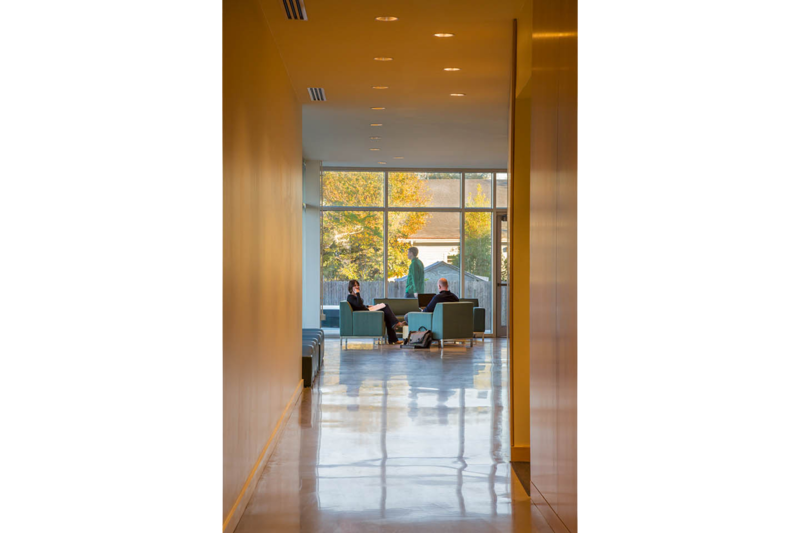 The volumes are compactly arranged to increase energy efficiency, allow for future development, and shape new outdoor spaces while providing ample light and views. 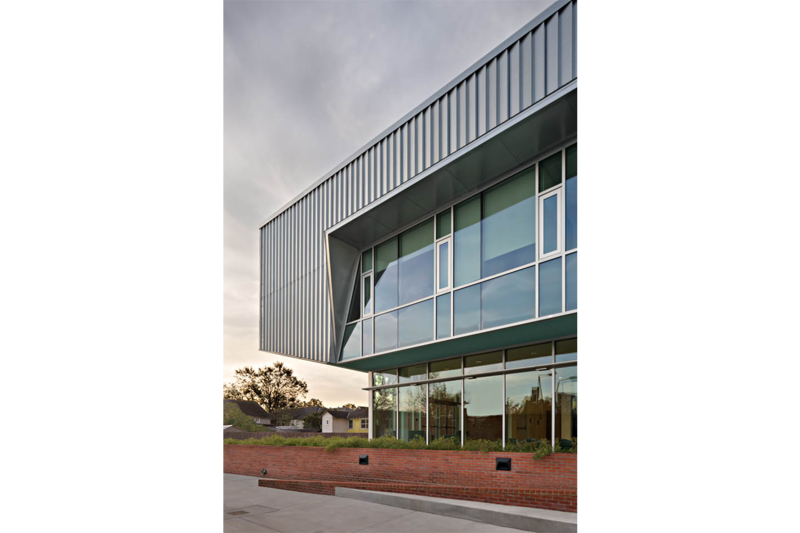 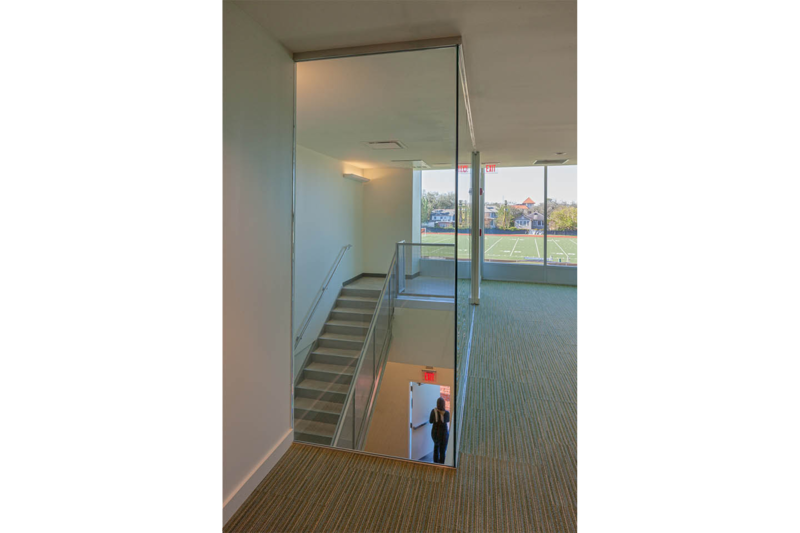 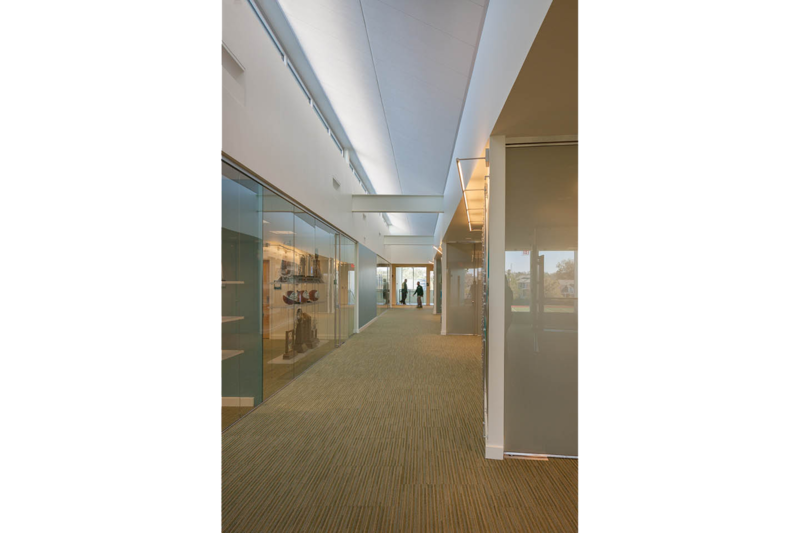 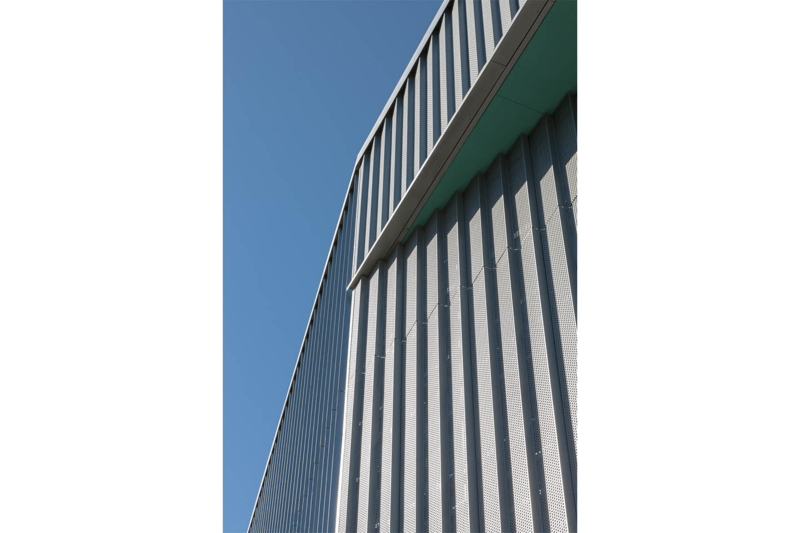 With a tight building envelope, mostly north-facing glass, and efficient mechanical systems, received a LEED Gold certification.